This is our speciality! Whether you want a functional 3-piece suite, a practical wet room or a luxurious room with all the first class fittings of a professional spa, we can make it a reality. 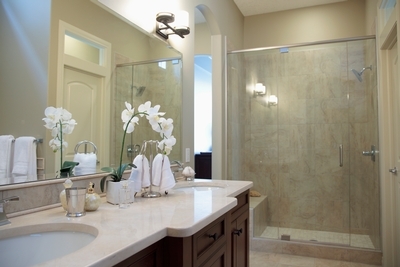 We can refurbish an existing suite or take the room back to the bare walls and install the bathroom of your dreams. What we have is a one-stop service. We deal with all the flooring, plastering, tiling and installation of both the suite and any other items you choose such as heated towel rails, shelving, etc. We can provide everything for you at trade prices, or are equally happy to work with another supplier of your choice.